The 18th edition of Imagineindia International Film Festival will take place in Madrid from 17 to 31 May 2019. Imagineindia Madrid 2019 : Feature Films, Short Films, Documentaries. The 18th edition of ImagineIndia International Film Festival will take place in the city of Madrid from 17th to 31th May 2019. The festival will be organized by the Asociation AIMIFF based in Madrid. The Festival ImagineIndia is mainly devoted to promote friendship and cooperation between Indian Subcontinent, rest of Asia and Spain and along with it the European Union. 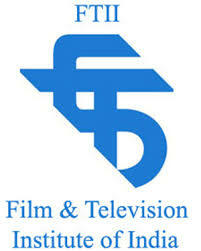 It’s aim is to showcase and focus attention on films coming mainly from India, but with some concessions to the other countries of the Indian Subcontinent and rest of Asia, in order to contribute to the better comprehension of Indian Culture, and to the development of more fluid relations among the Indian Subcontinent and Europe. The Selection Committee of the Festival is entitled to select and invite the films which will be presented in the Official Section or Out of Competition Sections. The films which meet the following conditions will be selected by invitation for the Festival,s Competitive section. 1) Films that have been produced during the 24 months preceding the Festival. 2) Films that respect the aims of the Festival as mentioned in Article 2. 4. 1. All sections are open to international submissions. Any producer and / or director with the rights to the film submitted may participate in this section. 4. 2. Each filmmaker or producer may submit as many films as he / she wishes. 4. 3. It will be required for all selected films to be presented in the format with best projection quality, irrespective of the format in which it was originally made. In any case the only formats at ImagineIndia Festival 2018 will be 35mm, Digital, DCP, Blu-Ray and DVD. 4. 4. The films competing must provide the festival with the dialogue sheet at least in english or spanish. – Uploading the film to the Platform MOVIBETA or CLICK FOR FESTIVALS. – Authorizing the online viewing on any other internet platform like Vimeo, Imdb, etc. – Sending the film to the festival by any other platform like Wetransfer, Google Drive etc. – Sending a DVD to the address below. Calle de la Fe 9. 3º E.
The Organising Committee designates the members of the International Jury. The jury is composed of three reputed personalities from Spain, India or other nationalities. Decisions will be reached by unanimity. No person having taken part in any manner in a film in competition may be on the Jury. There will be no right of appeal against the decision of the Selection Committee. The Director of the Festival has the power to settle all cases not covered by the present rules. The participants authorize the organization to use extracts from the films in any media for the purpose of promoting the festival. It will also be allowed to use photographs from the films and of the directors in the press and other media, as well as in the making of the Festival Catalogue. The Juries, will grant the following official awards from among all the films selected in the Official Section. The awards will include the trophy GOLDEN CHAKRA. Participation in the Festival implies acceptance of all the afore-mentioned regulations. These rules apply to all categories of the Official Sections: Competition and Out of Competition.